#1 – Stick to a schedule. The first step to a lower unsubscribe rate is setting expectations for subscribers right off the bat. If you’re going to send out an email twice a week to a specific list then be sure you’re sending those two emails at the exact same time each week. When your subscribers know what to expect, your emails are less likely to catch them off guard or become bothersome. Take it one step further and let them know when they will hear from you when they first opt-in to your list. #2 – Segment your users by topic or type of email. When it comes to email marketing, the more you segment, the better. When your user signs up—or any time in their lifecycle—send them a survey asking them what they care most about or which emails they want to receive. If you can put your users into buckets based on topic or type of email, you’re able to send to each individual user less often and with more relevant information. This is key to ensuring your users remain loyal and never scroll down to click to unsubscribe from your list. 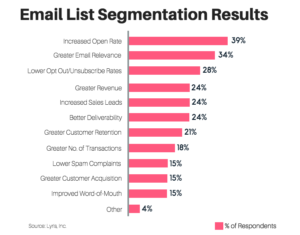 The better the segmentation the lower the subscribe rate. #3 – Offer your users the option to receive less emails — rather than none. Often your users are getting their inbox filled with solicitations, advertisements and tons of information from other organizations. If they’re looking to cut back on emails and yours is the organization or company they choose to cut, offer them an alternative solution: to see your emails less. Send out a survey to your subscribers to find out what their preferences are. Structure your email program around the quantity of your sends, and create a list of users who only want to receive emails once a week or even once a month. Retaining your user in the long-run is a lot more important than reaching them with every message you send. When your subscribers initially opted into your list they had certain expectations of what kind of content they would be receiving from you. If you’re not fulfilling that expectation can you really blame them for unsubscribing? For example, if you promised to deliver information to them on how to lead a healthier lifestyle then be sure that the bulk of your emails are informational in helping them achieve that goal without being excessively promotional. If you’re not providing value to your subscribers then you’re not sparking engagement. Pay attention to your campaign metrics and take a hard look at which topics or promotions are getting the best response from your subscribers. Give the people what they want and keep them away from the unsubscribe button. #5 – Offer your users an incentive to remain on the email list. Whether it’s a discount, an exclusive offer to receive a product, or a short phone call with someone important within your organization, do whatever it takes to retain more users. There is great value on a user who already signed up for your email list and on whom you have extensive email interaction and user data, so it’s important to do whatever you can and spend whatever you need to do to retain them. 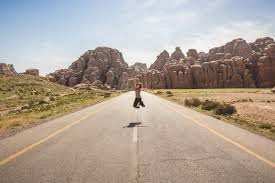 You want your subscribers to feel that if they unsubscribe, they are cutting themselves off from a world of offers they may want to take advantage of at some point. Make sure you’re providing a true value. No matter who your audience is, how new or old your list is, and the type of emails you’re sending, your unsubscribe rate should always remain low. Don’t ignore it and cast it off as something that will level out, because every unsubscribe diminishes the value of your list, your email marketing program, and your online brand. Ready to put these tips to the test? 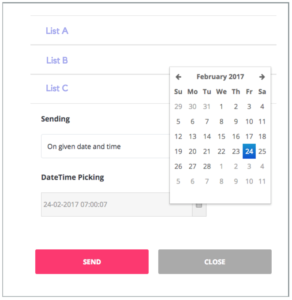 Get started with your free 14 day trial of Sendlane!